Guy wouldn’t want to keep ‘Grinkie’, just my advice. 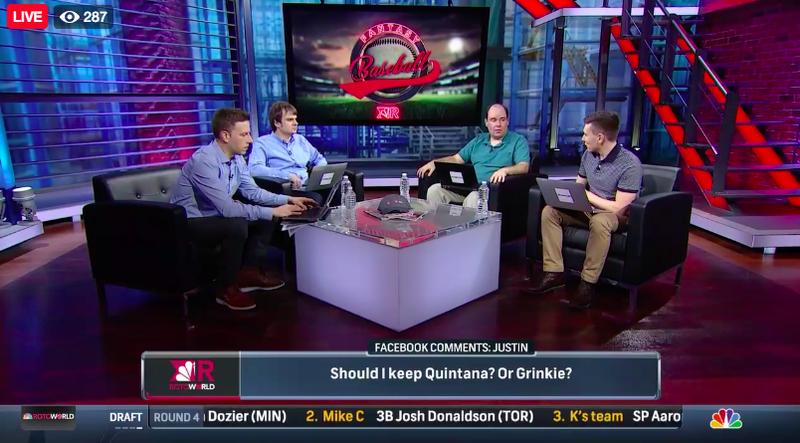 I watched the Facebook Live Rotoworld fantasy draft for a bit tonight. It got me a bit excited. It made me envious that guys like D.J. Short are paid to do this for a living and tabbed as ‘experts’ while I crunch numbers in a cube all day and try to coach Johnny dumbass into the right financial decision. But alas, there are just two nights remaining until my favorite fantasy league draft, a league I’ve ran since 2011 with some of the finest owners around the globe. I don’t pick until the 8th round – I’m purged of picks even by my own standards. Still I can’t wait to see what my fellow owners compile. Barring a Hail Mary type miracle, maybe even more than that; I won’t be winning a ring this year. But it’s still fun to pick a group of players in the top 300 or so and see what kind of chemistry experiment I come up with. I have a plan, one that probably blows up; but I do have a plan. I’ll update everyone with the Die Hard Keeper League draft results with a post after things wrap up on Thursday night. The 22nd of March will bring some fireworks this year.